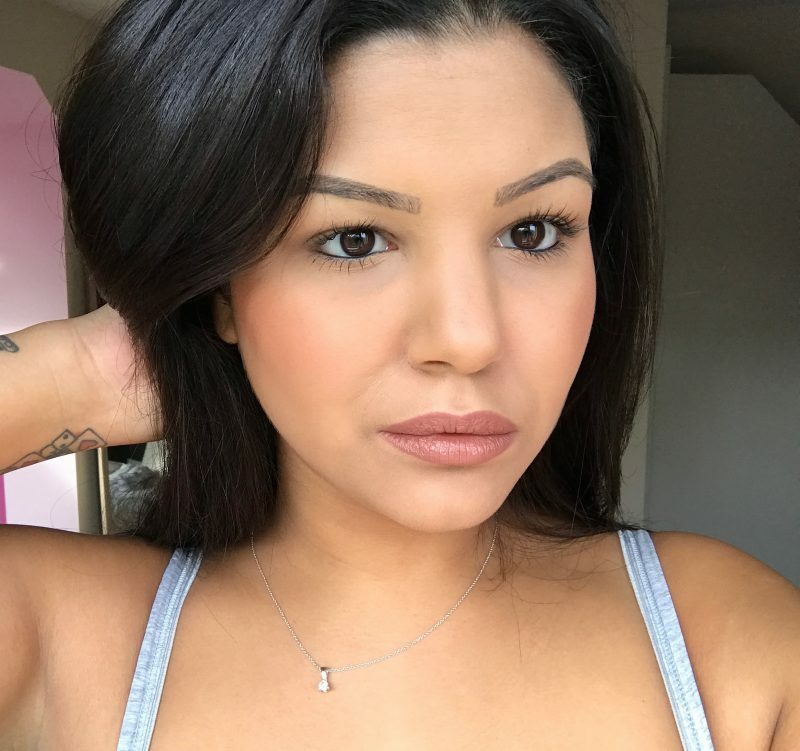 Following my post about Sephora and US drugstore musts, I wanted to mention a couple of brands that are only available online…What’s worth getting delivered before you visit and a way around US domestic only shipping. 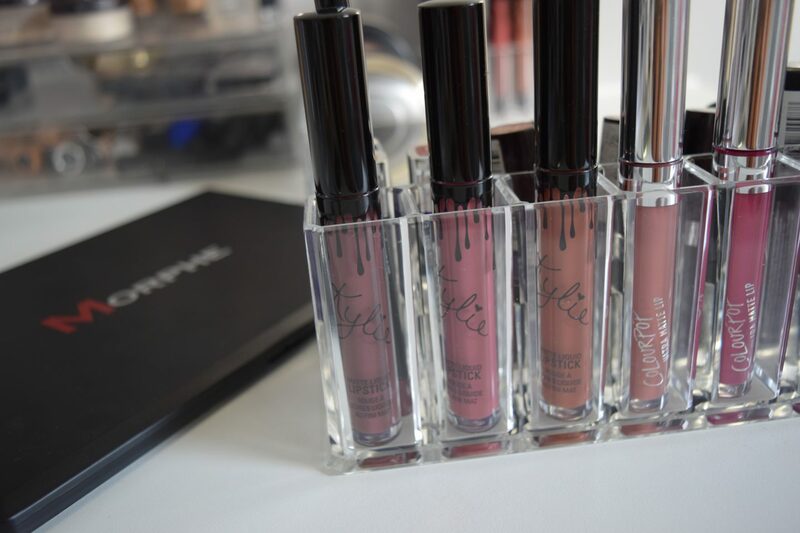 Kylie Cosmetics. 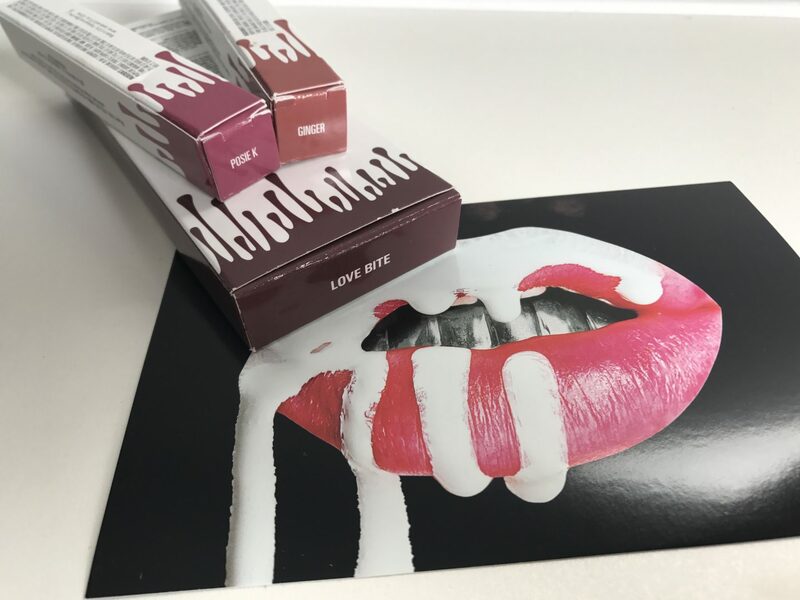 Oh Kylie, you set up a little Shopify website selling your liquid lipsticks made in the same factory as Colourpop for $17. They even come in identical shades. Naturally the world went crazy, the site crashed and they sold out immediately. There was then a packaging scandal, tons of Mum’s getting ripped off for their daughters with shipping costs and import tax and lots of impatient teenagers. Of course I wanted in on the action. I wanted to see if they really were practically the same as the Colourpop so I ordered 1 lip kit and 2 singles for $50. I justified this by the fact I got 20% off on Cyber Monday and free shipping to my friends house in Philadelphia. I was really impressed with the whole experience. They tracked my parcel and emailed me upon delivery. 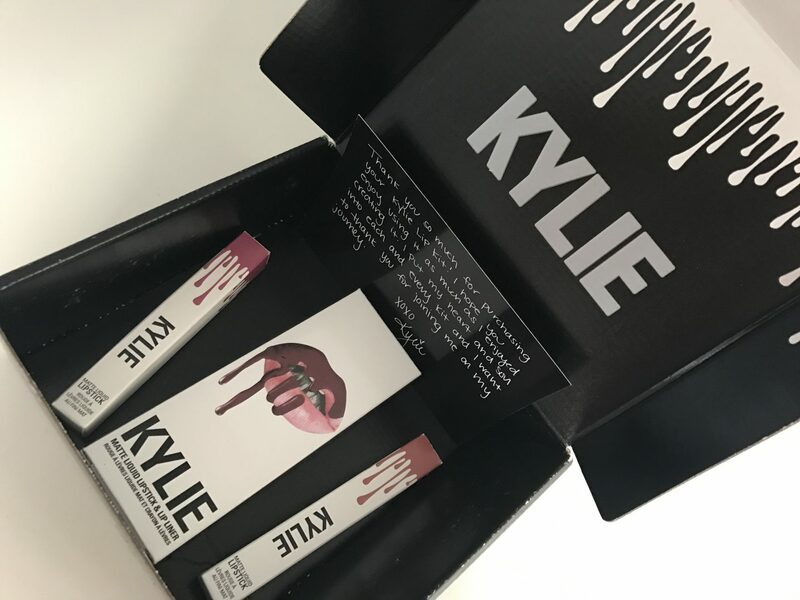 It came beautifully packaged and yes, the lipsticks are worth the hype. I’m glad I didn’t buy from the first batch because from what I’ve seen online, she’s definitely improved the formula. And I think for the price you can get other brands easier in the UK without all the extra costs. You can find plenty of dupes on Youtube and Pinterest. My love affair with Colourpop continues. In the summer I had a package shipped to my friend’s apartment in New York. I paid via PayPal and she bought it with her to Ibiza for me. 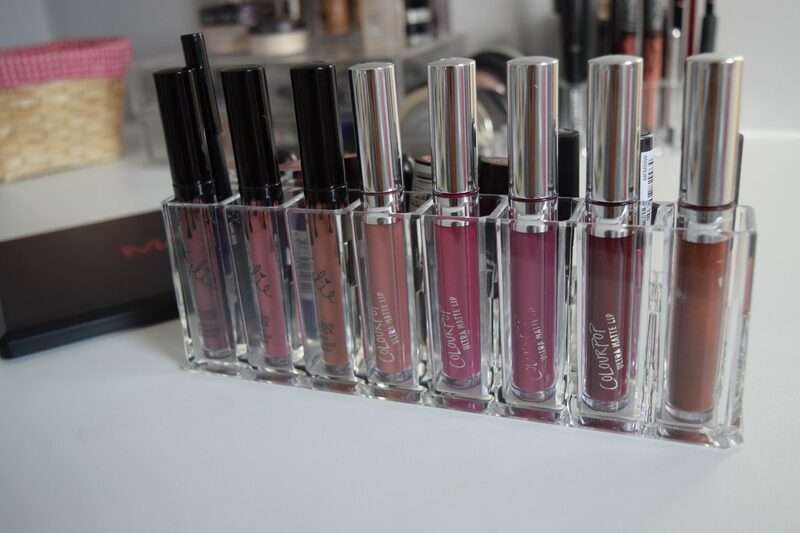 The liquid lipsticks are THE SAME as Kylie’s. Beeper, Lumiere, Limbo, Clueless/Trap. They are $6 and I just bought a ton as Christmas gifts for my friends. The only downside is that the silver labelling rubs off the tube. If you can live with that, they even ship to the UK now! 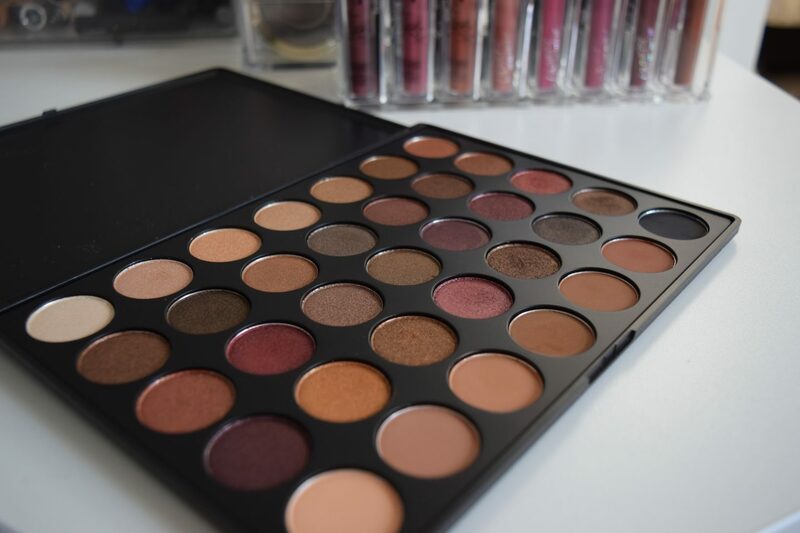 Morphe is one of the brands that’s heavily endorsed by online influencers. These Youtube queens are forever on about these giant palettes with ‘amazing pigmentation’ that are only $20 plus you can get 10% off with their commission code! I really wanted the 35F palette. I’d been on the waitlist with Cult Beauty and Beauty Bay since the summer but got too impatient so did a huge order to my friend’s house in Philly on Cyber Monday. I got 20% off and free shipping, so obviously ordered enough brushes so they were ‘free’ against the discount! The brushes are fantastic. The reviews by Jaclyn and Manny are 100% honest. The palettes though? They really aren’t that great. The packaging is cheap and the shadows are hit and miss. For the price they’re fantastic, but going forward I’d rather invest in a more expensive palette that’s better quality like the ABH Modern Renaissance. Like I said, Cult Beauty and Beauty Bay do stock the palettes and brushes, but the palettes sell out as soon as they come in, so if you want one get on the waitlist and follow their social media. They have recently added the option of ordering directly from their site to the UK, along with tax and delivery disclaimers. I’m lucky to have friends that live in the US and just get my things delivered to their houses and pick them up when I visit. It’s so exciting to have tons of packages to open when I arrive! If you don’t have friends or relatives stateside and don’t wanna risk deliveries to your hotel/holiday rental then I’ve just discovered Go Send. They have a base of lockers in a tax free state and can provide you with a US shipping address. You can shop from various sites and then they package it all up together to ship internationally for you. This means you skip 3 or 4 higher shipping rates and only pay to import one package. Violet Voss for eyeshadow palettes – I want to see how these compare to Morphe’s.